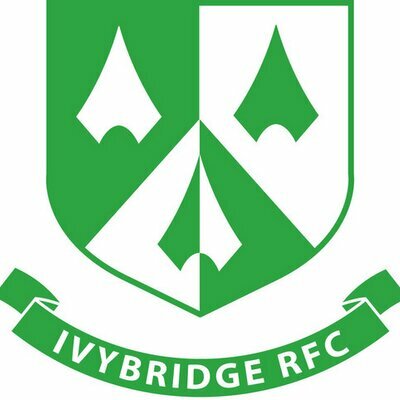 IVYBRIDGE returned home from another away trip with a valuable bonus point, this time at Cleve. The South Hams side, who narrowly went down 10-6 at Hayfields on Saturday, have now picked up at least one point from every team they have played against this season in National Three South West, apart from Lydney. Ivybridge had suffered their most disappointing defeat of the season at home to Cleve at the end of October when they lost 52-21. That day they were missing 10 regular first teamers and they were again missing key players on Saturday, but were far more competitive. There was little to choose between the teams, with Cleve 5-0 in front at half-time. Billy Pinkus reduced the gap to two points after the interval with a penalty for the visitors. Ivybridge then lost Tom Scoles with injury before Cleve missed two kicks at goal. The Bridgers then suffered a blow when back Ben Watts was sin-binned. Cleve scored in the corner to go 10-3 up. Pinkus kicked a second penalty with a couple of minutes to go, but they could not get the try they needed to win the game. Meanwhile, Saltash’s hopes of staying in Western Counties West suffered a major blow on Saturday when they were beaten 31-17 away at fellow strugglers St Austell. The win has moved St Austell up to 10th and nine points ahead of second-from-bottom Saltash, who have now lost their last 11 games. The Ashes, who had Max Venables again on the scoresheet, are seven points from safety and have played a game more than most their relegation rivals. And it does not get any easier for them as next weekend they to play promotion-hopefuls Okehampton at Moorlands Lane. Okehampton’s home game against Devonport Services was one of a host of matches to fall foul of the weather on Saturday. In the Cornwall/Devon League, Plymouth Argaum’s game at Pirates Amateurs, Plymstock Albion Oaks’ fixture at Paington and Tavistock’s home clash with high-flying St Ives were also postponed. Tamar Saracens and OPMs were left without fixtures in Devon One, but bottom side St Columba & Torpoint did play leaders Wessex away and put in a good performance, narrowly losing 18-5. Damien Chambers scored their try at Flowerpot Fields. Saints did deny Wessex a bonus point and New Cross did promotion-chasing Tamar Saracens a favour by beating then 20-8. In Devon Two, Old Techs were knocked off top spot by 17-10 at home to Ilfracombe. Ilfracombe and Dartmouth, who beat Salcombe 24-15, both leapfrogged above the Old Boys. The derby match between Plympton Victoria and DHSOB was postponed.